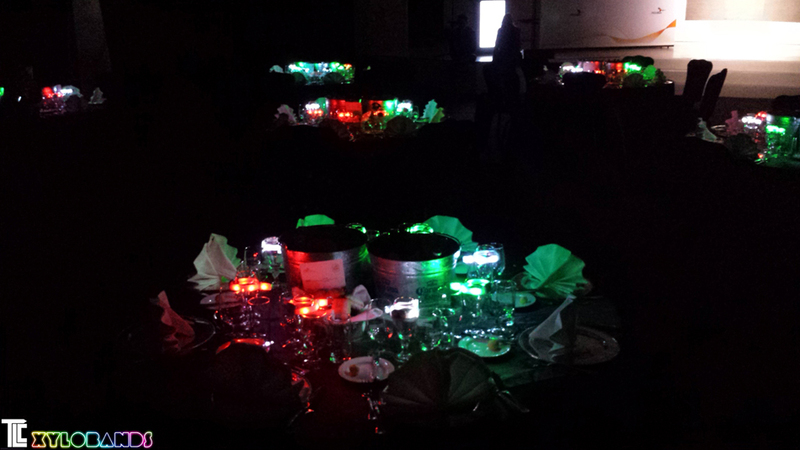 RGB XYLOBANDS – colorful centerpieces with interactive light. 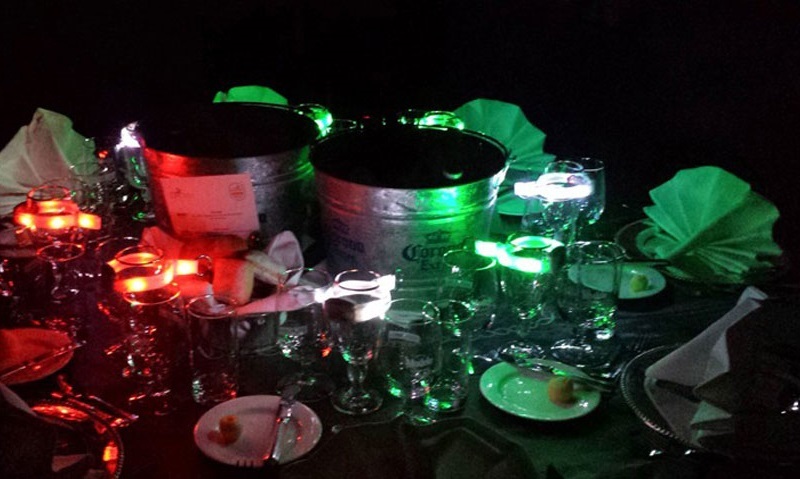 The colors of Mexico light up tables at an event in Mexico City. Xylobands that can display millions of colors are now available from TLC Creative! These beautiful table centerpieces light up with the colors of Mexico, for an event in Mexico City. 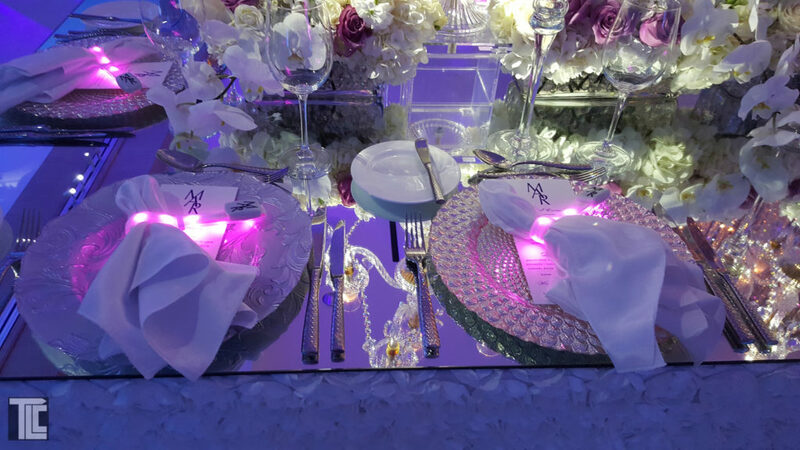 Table-top displays using RGB Xylobands create colorful energy and add the excitement of live controlled and synchronized light to special events of all sizes. Now Xylobands feature FULL COLOR control with RGB LED’s that can create MILLIONS of colors on each wristband. RGB COLORS! : Each wristband can now display any color or any shade, including white, and can change to any other color or shade instantly or slowly. Audiences are transformed by the group experience when wearing the interactive light-up XyloBands, joining together as a group in an entirely new way. Concerts, celebrations, parties, meetings, are all reinvented using the new technology that literally puts everyone in sync. From full stadiums to small venues, the effect is powerful in each situation. 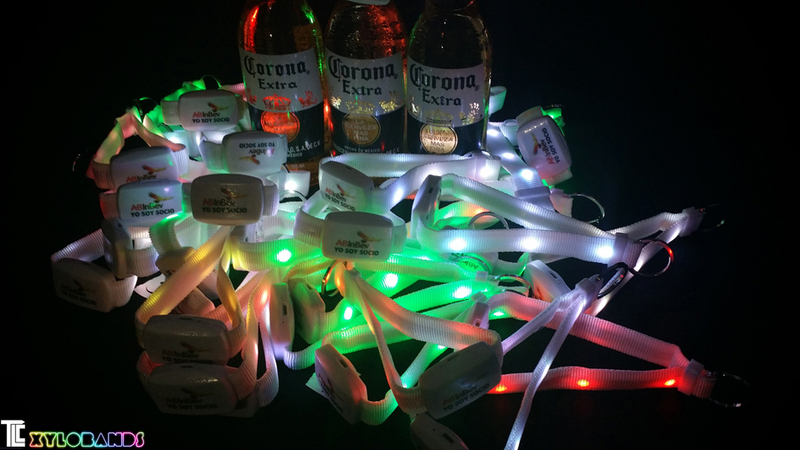 The wristbands can be specially programmed to flash or pulse or shine in different zones or areas of the event. Each section of an event can be controlled with unique colors and zones all controlled separately. The new technology XyloBands that are now available can display any, and ALL, colors, and can show-off all kinds of new programming and display options. Xylobands can crossfade from any color to any color, or fade the light up or down at any speed. The ability to crossfade colors allows more subtle and interesting patterns and combinations, especially useful when synchronized to an open video or similar multimedia presentation. Also featured with the new bands is expanded visual control, with dozens of additional groupings that can be created for independent display. Contact TLC Creative for more information on bringing Xylobands to your event.